The early 90’s were a turbulent time. Just a few years after grunge turned the music scene on its head, so the sudden death of Kurt Cobain caused another seismic upheaval. With rock’s biggest bands still readjusting to this brave new world, and grunge’s superstars dazed and in mourning, rock badly needed an adrenaline shot. Into the vacuum poured a new breed of bands and none more talented volatile, or unhinged, as The Wildhearts. Offering a noisy alternative to the mainstream ‘Brit-rock’ these disparate-sounding newcomers flawed both audiences and the music press with their first almighty sucker-punch. The bands auburn haired front man/guitarist, known to all as Ginger, for reasons too obvious to explain, had been promising to make his presence felt for a number of years. Latterly the hard living guitarist with UK Rod and the Faces, sound-alike’s, The Quireboys, Ginger’s lifestyle and belligerent personality had seen him fall out with the band’s new management, Sharon Osborne. Cast adrift, just as the Quireboys were about to break into the mainstream, and tour the world as support act for The Rolling Stones, it’s fair to say that the volatile man with the flame hair decided to view the situation as a call to arms, rather than the knife between the shoulder blades that it undoubtedly was. For months, the rumour mill turned with whispers of Gingers new band. Names were mentioned, line-ups confirmed, and still nothing happened. Then, just as the music press was about to consign all the speculation to the bin, rock radio came alive with the sound of Turning American, by The Wildhearts, and no one had expected it to sound as it did. As alluded to earlier, Ginger Wildheart had always found himself to be a Vegemite personality. People either loved him or hated him; and it is something that continues to this day. A belligerent, aggressive, and hugely unpredictable character, with a yo-yo penchant for some of the darker indulgences of life, made being in a band with Ginger Wildheart as exciting as it was dangerous. However, right from day one of The Wildhearts, it was obvious that Ginger had a talent that the majority of his contemporaries could only weep into their Jack Daniels about. After testing the waters with the EP’s, ‘Mondo Akimbo a Go-Go’, and ‘Don’t Be Happy, Just Worry’, the band’s line up finally stabilized with the release of Earth Vs. The Wildhearts. Even the album’s title betrayed Ginger’s worldview that he was always the outsider and fully prepared to fight his corner. Earth Vs. The Wildhearts hit the record stores on August 17th 1993, and it had jaws hitting the pavement from the get-go. From the opening of ‘Greetings from Shitsville’, to the fade out of, ‘Love U til I don’t’, eleven songs later, it left the listener in no doubt that there was never any chance of a compromise. 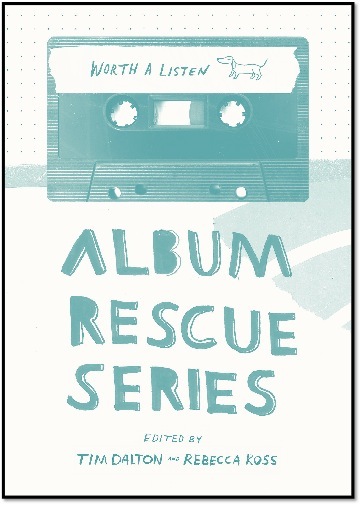 We can all think of albums we own that slowly welcome you into their world. As the more radio friendly and melodic tracks become that bit over familiar, you discover the layers and intricacies of the hidden gems. They invite you to enjoy your own journey of discovery, at your own pace and in your own way, but Earth Vs. The Wildhearts was an album with very different ideas about your listening pleasure. Like Malcolm McDowell in A Clockwork Orange, you felt as if you had been strapped to a gurney with your eyes and ears pinned back, and then psychologically assaulted by the kind of chorus melodies and hooks we generally consider to be the preserve of Lennon and McCartney, or the best of the mid sixties Motown stock writers. So what made this album what it was? Of course it has to start with the songs. 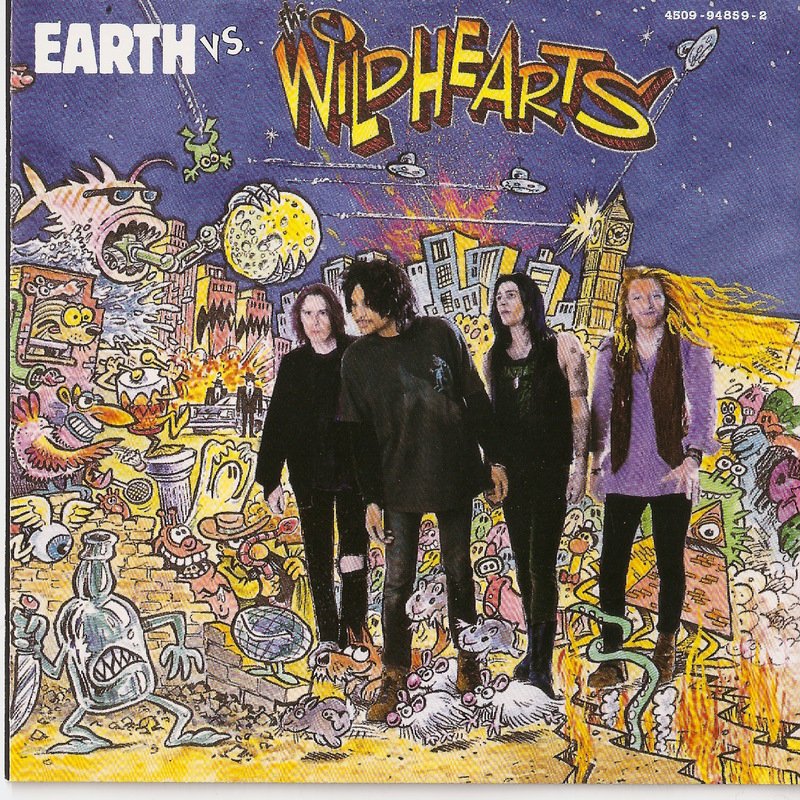 In the twenty plus years since its release, Ginger Wildheart has continued to fuel the opinion that, somewhere in the Cayman Islands he has an offshore safety deposit box, full of killer chorus melodies and crunching guitar riffs that he can dip into whenever the mood takes him. Another defining factor is what a hybrid it is; a true Frankenstein of an album. Diamond pop melodies, guitar riffs that bands like Metallica and Slipknot would cut off an arm to have composed, and all delivered in musical arrangements and time changes that have more in common with some early seventies prog-rock album. They are musical elements that, on the surface, are like oil and water; they seem to have no earthly business being in the same recording studio at the same time, yet the fusion is absolute, and without there ever being a musical moment where you can separate any of them. What comes across is that Dr Gingerstein was never going to give a **** what you, me, or anyone else thought. In the song, ‘Miles Away Girl’, he sings, “You never seem to have any money, because the decent people never get paid.” The line is just one of the dozens of allegories within the lyrics, and a typical Ginger Wildheart statement that he really doesn’t care who you are, or how great your life has turned out; his world view is seated in the person, and not what you have. Earth Vs. The Wildhearts was a true monster rock album. It broke so much new ground whilst raising its hat in respect to so much that had come before it. Nirvana had become the Khmer Rouge of rock music. They had drawn a line in the sand and stamped year zero on guitar music with a battered Converse. Just as punk rock had blazed a scorched earth policy over the self-indulgence of seventies progressive rock, you could argue that music needed Nirvana in much the same way. However, they heralded a period where rock music became insular and sometimes dark. Kurt Cobain, Layne Stayley, Andrew Wood; the Jim Morrison’s of Grunge, dead before their time, and buried in a t-shirt that says ‘Everyone Loves You When You’re Dead.’ The Wildhearts debut album was the first clarion call in returning rock music to what it had once been, and should always be. It said rock music should be fun again; it should be about having a great time with your mates, and not sitting in your room contemplating your navel over a big joint of weed. It was an album that gave the finger to those who refused to acknowledge the past; Nirvana B.C, and wore its influences boldly on its sleeve. It was Metallica covering the early Beatles, or Nirvana covering Lynard Skynard, and produced by Phil Spector with a gun. Earth Vs. The Wildhearts is a lost gem, and its legacy is rooted in that very fact. I once heard it described, as like owning a piece of banned or subversive art. Only a select group are aware of it and understand its weight and significance. Occasionally its owners might trust it to new ears, having warned them of the consequences. As Morpheus says to Neo in The Matrix, ‘Red pill or blue pill?’ There really is no turning back because you can never unhear it.